Super Duo-Lens Jaguar Gold Silver Need Help? The Super Duo–Lens Jaguar Gold Silver sunglass combines two different lenses in silver and gold to reproduce the outline of this sleek contemporary silhouette. 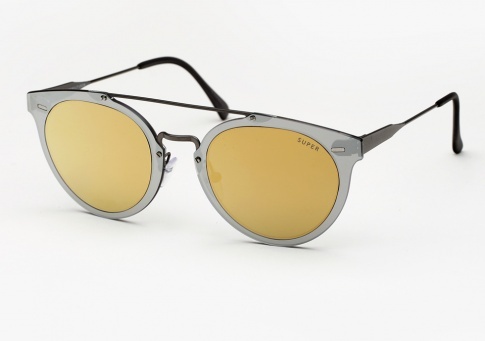 It was crafted entirely out of premium lenses by ZEISS and paired with dark metal detailing.